If there is anything I’ve learned about happiness and satisfaction over the years, it’s that there is a direct correlation between your expectations compared to your reality and your happiness/satisfaction level. If you expect something to go well (or go poorly) and it does, you’ll be satisfied. 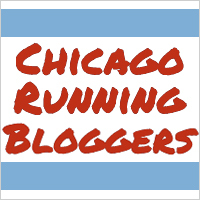 If you expect something to go poorly and it goes well, you’ll be thrilled (see: this year’s Chicago Marathon). If you expect something to go well and it goes poorly, you’ll be disappointed. Would anyone like to wager a guess as to which of those three categories I fell into at the Rock ‘n’ Roll Half in Las Vegas? A couple of weeks ago, I posted about my upcoming running plans. In that post, I specifically said, “I am most certainly not hoping for a PR in Vegas,” that “I’m not fooling myself into believing I’ll be in prime racing condition for this event,” and that ” I just want to be able to finish uninjured.” All of those things, dear readers, were lies. I had heard once–and I have absolutely no idea if this is true or not, but I believed it when I heard it–that the best time to try for a half marathon PR is about a month after a marathon. (I should note that I can’t find any evidence to back up this claim, so this was probably not a true statement. But if you can find evidence for it, please feel free to share!) I also knew that temperatures would be cool and there would be no sun to speak of during Rock ‘n’ Roll, given that the race happens at night, so I thought I was really setting myself up for success here. Prior to the race, I thought I was probably going to do a sub-2:10, and maybe even PR. I didn’t say any of that, however, because I knew people would tell me I was wrong, and I didn’t want to hear that. I wanted to prove to all of them that they were wrong and have the race of my life. That did not happen, to say the least. We headed out from Excalibur at 3:45 (for a 4:30 start, which was a 5:00 start for all of us, since we were all starting in the second wave, in front of New York, New York, directly across the street) and walkways to the race were already PACKED. I opted to skip gear check, though one person in our group did want to check gear, and by the time we got to the corrals, you couldn’t even get in anymore. That all cleared up after the race started, but it was definitely crowded. I started the race in the second corral of the second wave, and from the moment I started running, I knew things were not going to go well. I actually worried that things weren’t going to go well before the race even began, as my GI tract was not being as cooperative as one might hope it would be prior to a half marathon. I was uncomfortable in the stomach department before I even started running, and once I did start running, I was uncomfortable in the leg department almost immediately. I stopped by the Welcome to Fabulous Las Vegas sign to take pictures, since with over 11 miles to go I already knew this entire race was going to be a joke, so what’s a few seconds lost over a picture? I also stopped by a portapotty soon after to see that would solve any of my grumpy tummy issues (it didn’t). On top of my manifold physical issues, running this part of the course was also a bit emotionally taxing. We ran right past the festival grounds where the shooting happened in October, and it just felt…unsettled, I guess. It was six weeks to the day after the shooting, which I guess sounds like a long time, but definitely didn’t feel like a long time. The race didn’t have any music during the first miles (an anomaly for Rock ‘n’ Roll) other than a string quartet at the turnaround and put up Vegas Strong signs by the festival grounds, so they certainly made every effort to pay their respects. After the turnaround, it didn’t take too long (well, relatively speaking) to get back to the Strip, where the lights and hotels and general flashiness at least kept things interesting. I got to the Bellagio right at 6 p.m., so I got to see the dancing fountains, even though I couldn’t hear the music they danced to due to course noise (and being on the other side of the road). I don’t know where the Strip ~officially~ ends, if it officially ends anywhere, but as far as I’m concerned, the Strip, at least from a lights and hotels and general flashiness standpoint, ends at Encore. Sure, there are still more hotels along the road–Circus Circus, the Stratosphere–but passing Encore really feels like leaving the Strip as far as I’m concerned. That’s all well and good, but Encore is at roughly mile six, and the northernmost point of the course is at about mile nine. Those three miles of Las Vegas Boulevard feel like a totally different world from the heart of the Strip. The contrast was remarkable. I felt like I had run into a ghost town from the mid-1950s. Rather than gaudy resorts, the road was lined with motels–some seemingly still open, some definitely abandoned–and wedding chapels. It was so different from the south part of the Strip. The northernmost part of the course took us on a little jaunt down Fremont Street, where most of the oldest casinos are located (though we didn’t run by any of them). This is definitely the neon lights part of town (as opposed to the Strip, which I would consider more the “lights in general” part of town, haha), and since I was already totally miserable and in a foul mood, I figured I may as well stop to take pictures. The trip back south to the finish line wasn’t as terrible as I feared, but I certainly wouldn’t say I was enjoying myself. My legs hurt, I was thirsty (I carried my water bottle with me, but I finished it before I finished the race), and I was super frustrated by the entire experience. I had never dreamed that the race would be that difficult. When we ran through the part of the course where MarathonFoto was up on a cherry picker to take our pictures from above, I actually put my arm over my stomach to cover my bib number, because I didn’t want ANY photographic evidence of such a lousy race. I crossed the finish line in 2:34:27, making this my second slowest half marathon of all time (hooray). I was so upset walking through the finisher’s chute that when I grabbed my medal from the volunteer, I didn’t even put it on. I met up with those in the group who had finished (three of the five of us) and demanded to go home immediately (well, mostly immediately – immediately after I finished crying, that is). I didn’t know any of this until I looked up my stats after the fact (Rock ‘n’ Roll does a really great job of giving you a lot of details about your run), but even with such an awful-from-my-perspective run, I still managed to negative split the race, at least through the 5K, 7 mile, and 10 mile marks (where they had timing mats), and I finished in the top 50 percent (just barely–I was in the top 49.8 percent–but whatever, it still counts 😛 ). I wasn’t in the top 50 percent at Nashville or Chicago, so at least I can hang my hat on that. Sometimes, it takes some analyzing to figure out where things went wrong in a race. With Vegas, I could write a thesis on the reasons why this race went poorly. The deck is so ridiculously stacked against you in Vegas (#puns) that if time is of any concern to you, you honestly would probably be better off forgetting to put your chip on your shoe and leaving your watch at home to avoid any post-race time-induced angst. In a perfect world, I’d like to get eight hours of sleep every night. In the real world, I usually get just over seven hours of sleep every night. According to my FitBit, I got 5:22 of sleep Thursday night into Friday, 5:54 of sleep Friday night into Saturday, and 6:26 of sleep Saturday into Sunday. Obviously that was FAR below my ideal scenario, and even though a half marathon isn’t as difficult as a marathon, that doesn’t mean it’s a race to take lightly in the preparation department. I definitely didn’t get even close to enough rest going into the race. I had forgotten this from being in Vegas in 2016, but I have SUCH a hard time staying hydrated in Vegas (see: middle of the desert). My goal for Sunday was to drink two rounds of my water bottle (a total of 42 ounces of water) before the race. Not only was this probably a low estimate for how much water I would need before a half marathon under any circumstance–I try to drink at least three rounds of my water bottle the day before a long run during marathon training–but it was most definitely a low estimate for how much water I would need before a half marathon in the desert, AND I didn’t even accomplish that anyway. I drank one water bottle plus two glasses of water at breakfast, which I’m certain didn’t add up to 42 ounces. I have a very regimented way of eating 12 hours before a long run (one bowl of macaroni pasta with a handful of corn, a handful of peas, baked chicken, a drizzle of olive oil, a generous portion of salt, and a little bit of parmesan, plus half of a Trader Joe’s dark chocolate bar for dinner; two pieces of white toast with peanut butter and four ounces of orange juice for breakfast). I rarely, if ever, deviate from this plan, because I know it works well for me. I was very concerned about nutrition before Vegas, but then reminded myself that I ran 10 miles after work on three separate occasions this past summer and never once paid any sort of thought to what I ate prior to those runs, so this would be fine. Boy, was I wrong about that. For one thing, there’s a big difference between sitting at work all day, eating the same food you eat every other day of the week, and then trying to go run 10 miles, compared to waltzing around Vegas for three days, eating with reckless abandon, and then trying to run 13.1 miles. For another thing, on those 10 miler days, I’d eat a normal breakfast at a normal time and a normal lunch at a normal time. On race day in Vegas, I ate five buttermilk pancakes around 11 a.m., and then didn’t eat anything else for the rest of the day, other than a handful or two of Munchies right before leaving Excalibur. In what should come as a surprise to absolutely no one, that was not adequate fueling in ANY way. So, that was Rock ‘n’ Roll Las Vegas. If I ever do this race again, at least I’ll know what I’m getting myself into the second time around! Awww sorry you had a crummy race. It really is difficult to dial in the nutrition/fueling/sleep aspects when you’re traveling AND racing at night instead of morning. You’re so right, too: expectation is the root of all heartache, as they say. The best time to try for a half marathon PR is after you’ve specifically trained for a half marathon. It’s true that a lot of people PR the half during/after marathon training because the aerobic endurance they’ve built up makes it feel like “only” 13 miles (not to mention, for fall racers, November weather is usually better than October weather), but you’re not running to your full potential and your body is still trying to recover from the marathon. My last 3 half PRs have been during marathon training, but they were tiny PRs and just leave me with the nagging feeling that my half PR doesn’t reflect my true potential in the distance. A lot also depends on how “ripe” you are for a PR (aka if your half PR is super outdated than you’re in more of a position to run a huge post-marathon PR). Oh man, I thought I responded to this last week! My bad. Sorry about that! I like what you have to say about half marathon training and half marathon PRs. That, obviously, makes a lot of sense. My half PR is nearly four years old, so I keep having this thought in the back of my mind that it could use some updating, which of course doesn’t help with in the disappointed-when-that-doesn’t-happen department. But, like you said, if I actually want to update my half marathon PR, then I need to train to do so – not hope it just magically happens because I ran a marathon five weeks before! I had a fairly similar experience in Las Vegas. I was set to run the marathon and had stomach issues at mile 11. It was like a switch went off and suddenly I wasn’t feeling “it” anymore. I was also pretty warm and went through most of my carry-along drink as well. I have run it before though but sometimes races are like that — they just don’t go right. Oh man, I’m sorry to hear you had such a rough experience! It’s a deceptively challenging race, and I can only imagine how much more compounded that would be for the full compared to the half.